At the beginning of the 2017 season, Norwegian Jade was the best sold ship in the entire 15-vessel Norwegian Cruise Line fleet. Is it because it’s the first NCL ship to offer cruises from the UK since 2010? 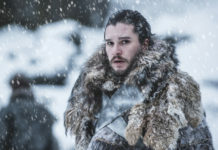 Is it because of appealing itineraries that include Iceland, the North Cape and the Norwegian Fjords? Or could it be the buzz of anticipation following its multi-million-pound, dry dock makeover in March this year? 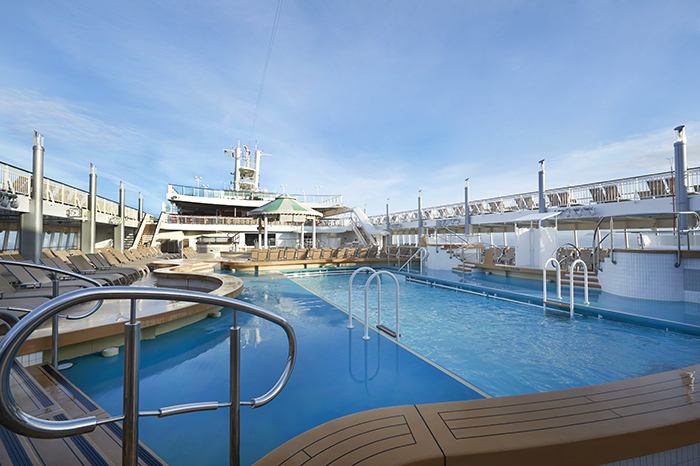 Whatever the reason, Norwegian Jade is causing waves of excitement. 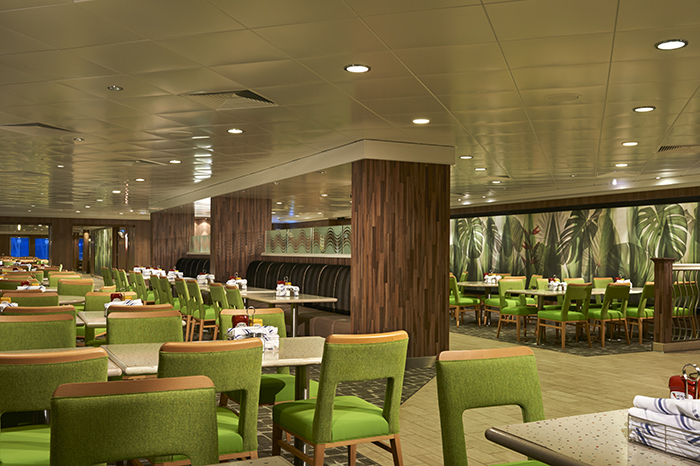 The colourful Hawaiian décor of old has been updated to a sophisticated, more contemporary palette of cappuccino colours; dark veneers have been replaced with lighter, fresher panelling and whole areas of the ship have been successfully reconfigured. A new lounge and bar have been added, making a total of 15 venues to drink and relax in and, with the addition of two new restaurants, there are now 16 diverse dining options: everything from the opulent Grand Pacific main dining room to the buffet-style Garden Café, and authentic Japanese Teppanyaki to the 1950s-style outdoor American diner The Pit Stop (complete with gas station signage and vintage number plates). 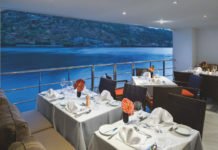 Menus have been upgraded and modernised too, bringing Norwegian Jade’s 2,402 passengers increased choice and more lavish ingredients – thanks to consultation with sister cruise line Oceania, renowned for its superb food. Entertainment can be found in the substantial Casino, choosing souvenir photos in the uber-modern Photo Gallery, or heading for the Stardust Theatre to enjoy one of the popular shows – from live music and comedy to spectacular Broadway hits. Kids of all ages are catered for in the Splash Academy and Entourage (close to the ship’s two pools and four hot tubs) while adults can savour some relaxing time off in the Mandara Spa, with its Elemis-based range of treatments and stunning sea views. If you fancy getting fitter, the onboard gym boasts a vast array of state-of-the-art equipment to help you do just that – as well as a specially designed jogging track, golf driving nets and a huge sports court for basketball, volleyball, football and tennis. And for the ultimate in luxury there is The Haven, an exclusive, intimate enclave tucked away at the top of this floating resort, with its own private courtyard, pool, 24-hour butler service, and even a mini grand piano in its three-bedroom villas. Last but certainly not least, all UK bookings will automatically receive Premium All Inclusive status, which is very good news. This means all drinks less than 15 dollars a glass are free, speciality coffees are complimentary after dinner, bottled water in staterooms is also free of charge and all gratuities are included. 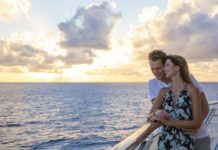 This applies to every NCL ship within the fleet, giving the consumer more freedom, as two of the biggest cruise expenses – drinks and tips – are now taken care of. 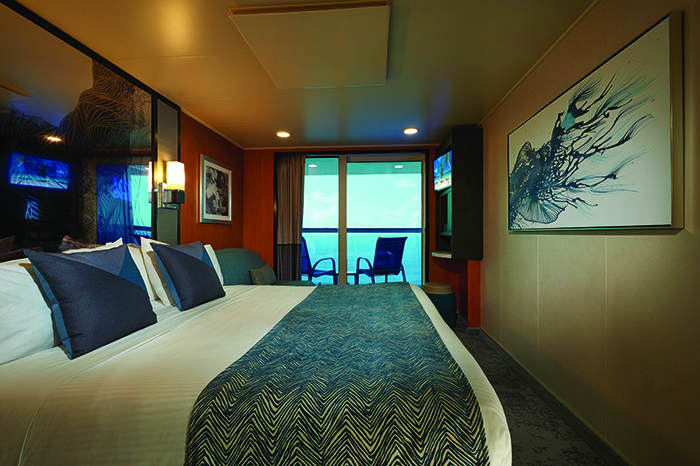 Initially launched in 2006, Norwegian Jade’s 2017 revitalisation is big, bold and at times breathtaking. 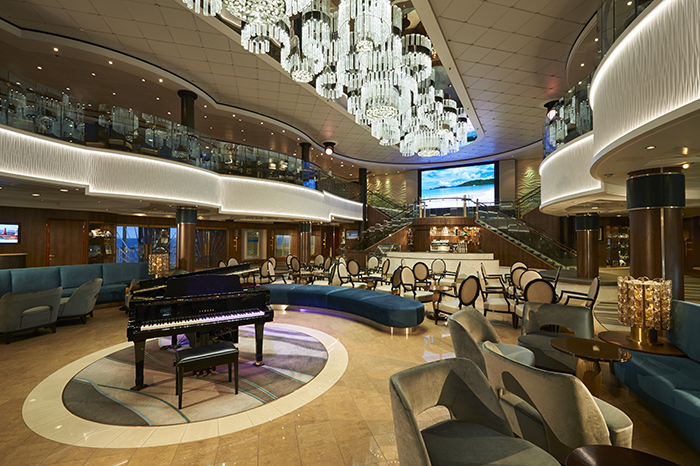 A Jewel-Class ship, it now sparkles more vividly than ever.